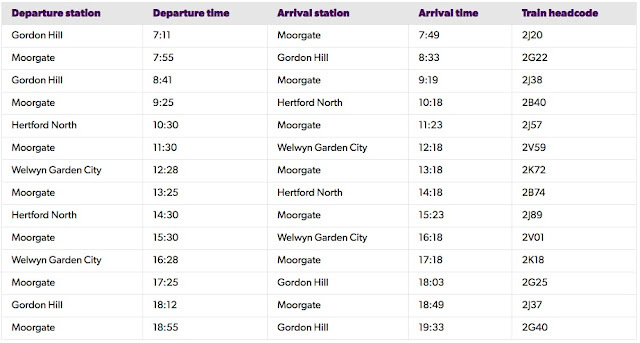 Two of the new Class 717 trains started running on services to and from Moorgate on Monday 25 March. Great Northern says the trains are part of a phased roll-out over the coming months. The process is expected to be completed later this year. 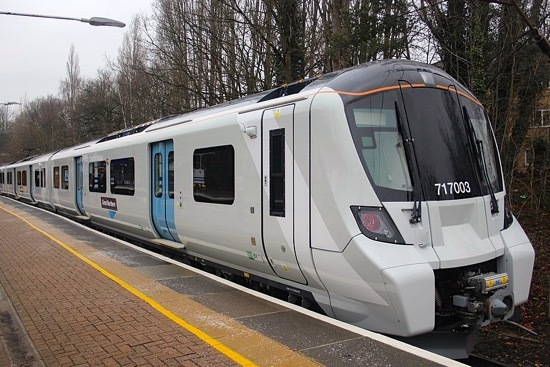 Great Northern, part of the Govia Thameslink Railway (GTR) franchise, says the new trains have been “custom-built for the route as part of a £240 million investment” to entirely replace Great Northern’s oldest train fleet, the Class 313. GTR says that for the first two weeks of passenger service, starting on Monday 25 March two Class 717 trains will be running on the following routes and calling at all stations throughout the day. 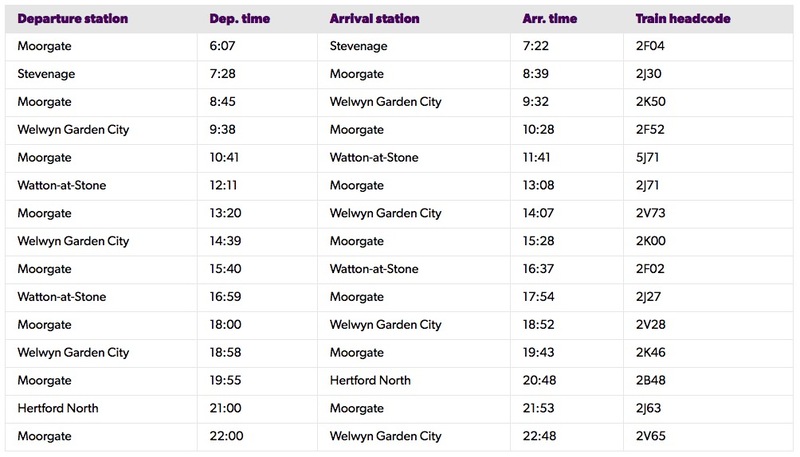 Additional Class 717 trains will be gradually introduced in subsequent weeks. Click on schedule below to enlarge. The company lists the benefits for passengers as follows (details taken from the Great Northern website). 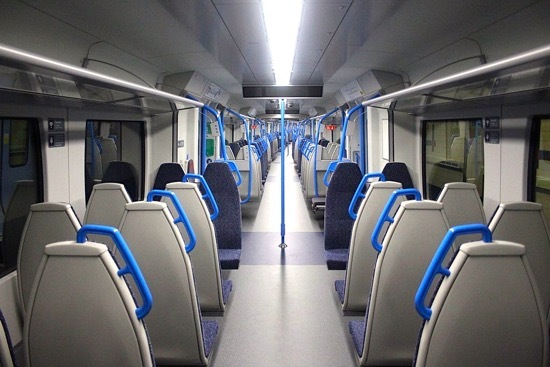 According to GTR there are no toilets on board the new Class 717 trains, because “stations on the route have toilets so with rising passenger numbers, creating as much space as possible for passengers has been the priority”. 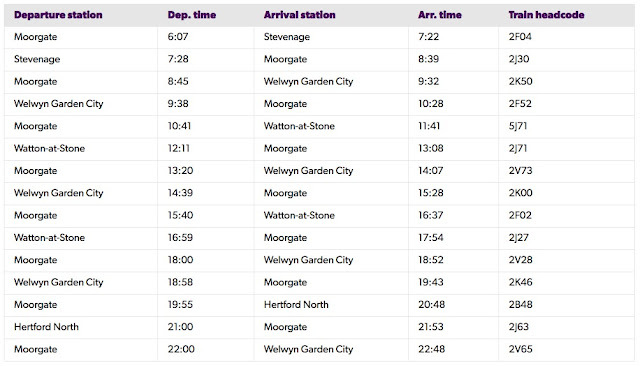 Richard Clinnick (@Clinnick1) tweeted the following from the 11.30am train from Moorgate to Welwyn Garden City.